To celebrate its 10th anniversary, the ZEE Jaipur Literature Festival will announce 10 speakers every week for 10 weeks every Tuesday at 6.00pm (IST). 2017 marks ten years of the ‘greatest literary show on Earth’ and its meteoric rise from a small gem of an idea to the world’s largest free literary festival, having hosted more than 1300 speakers over the past decade. The ZEE Jaipur Literature Festival 2017 will take place between 19 and 23 January 2017 in its beautiful home at the historic Diggi Palace Hotel in Jaipur. 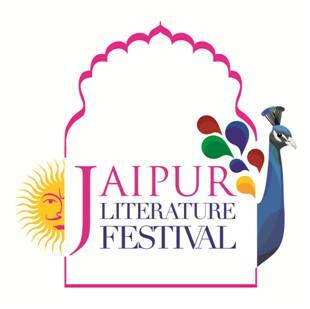 The Festival expects to welcome over 250 authors, thinkers, politicians, journalists and popular culture icons to Jaipur this coming January. Making his first appearance at the ZEE Jaipur Literature Festival in 2017 is 2016 Man Booker Prize-winning author ofThe Sellout Paul Beatty, the first American author to win the award since the inclusion of non-Commonwealth English language fiction in 2014. Beatty began his writing career as a poet in 1991 publishing the anthologies Big Bank Take Little Bank and Joker, Joker, Deuce and the novels, The White Boy Shuffle, Tuff and Slumberland. The Sellout also won the National Book Critics Circle Award in 2016. Nandana Sen is an actress, screenwriter, children’s author and child rights activist. Sen has starred in over 20 feature films from multiple countries and in multiple languages, as well as performing on stage. Her first children’s book,Kangaroo Kisses, was published in May 2016. She has also written several screenplays and translated the poetry of her mother, Nabaneeta Dev Sen, one of the most prominent authors in contemporary Bengali literature. She will return to the ZEE Jaipur Literature Festival in 2017. Shashi Tharoor is a politician, former diplomat and current Member of Parliament as well as Chairman of the Parliamentary Standing Committee on External Affairs. In addition to his political work, he is an acclaimed author of 15 works of fiction and non-fiction. He worked as a contributing editor for Newsweek International and has written for publications such as The New York Times, The Washington Post and the Times of India. He continues to write an internationally syndicated monthly column for Project Syndicate. His works of fiction include The Great Indian Noveland Show Business, and his non-fiction work includes India: From Midnight to the Millennium, Pax India: India and the World of the 21st Century and, most recently, An Era of Darkness: Empire in India. 8. British film director Stephen Frears will attend the ZEE Jaipur Literature Festival 2017. His movies includeDangerous Liaisons, High Fidelity and He has twice been nominated for Best Director at the Academy Awards for The Grifters and The Queen. His most recent release, Florence Foster Jenkins, starring Hugh Grant and Meryl Streep has been nominated for four Golden Globes, including Best Motion Picture – Musical or Comedy, and is tipped for recognition at the 2017 Academy Awards. Rishi Kapoor is one of India’s most popular film stars. He debuted as a child actor in his father Raj Kapoor’s magnum opus Mera Naam Joker, winning a National Award for his performance. His first lead role came with Bobby, a blockbuster that established a new template for the teeny-bopper romance in Hindi cinema. In the 1970s, a decade known for Amitabh Bachchan’s ‘angry young man’ films, Kapoor not only held his own but also carved a niche for himself in a series of musical hits like Khel Khel Mein, Laila Majnu, Hum Kisise Kum Naheen, Sargam and Karz. He was also the perfect foil to Bachchan in some of the most celebrated hits of the era like Kabhi Kabhie, Amar Akbar Anthony, Naseeband Coolie. Over the last decade, Kapoor has delivered some of the finest performances of his career in a diverse array of roles ranging from a middle-class school teacher in Do Dooni Char, a dreaded don in D-Day, a pimp in Agneepath and a naughty grand old patriarch in Kapoor & Sons; far removed from the chocolate-boy romantic hero of the 1970s. Last, but not least, is Vaasanthi, a Tamil writer, journalist and columnist who will be returning to ZEE Jaipur Literature Festival in 2017. In a career spanning over 40 years, she has published thirty novels, six short story collections, four volumes of journalistic articles and four travelogues in Tamil. Her works have been translated into Malayalam, Hindi, Telugu, Kannada, English, Norwegian, Czech and Dutch. Two of her novels were made into Malayalam films. She is a recipient of several awards, including Uttar Pradesh Sahitya Sanstan award and Punjab Sahitya Akademi award for her novels that were translated into Hindi and English respectively. Her latest book is Amma: Jayalalithaa’s Journey from Movie Star to Political Queen, a biography of the late firebrand Tamil Nadu chief minister, Jayalalithaa. The past decade has seen the Festival host 1300 speakers and welcome nearly 1.2 million book lovers. Celebrating writers from across the globe, past speakers have ranged from Nobel Laureates and Man Booker Prize winners to debut writers including Amish Tripathi, Chimamanda Ngozi Adichie, Eleanor Catton, Hanif Kureishi, His Holiness the 14th Dalai Lama, Ian McEwan, J.M. Coetzee, Mohammed Hanif, Oprah Winfrey, Orhan Pamuk, Pico Iyer, Salman Rushdie, Stephen Fry, Thomas Piketty, Vikram Seth and Wole Soyinka along with renowned Indian language writers such as Girish Karnad, Gulzar, Javed Akhtar, M.T. Vasudevan Nair, Uday Prakash as well as the late Mahasweta Devi and U.R. Ananthamurthy.